Shaken residents in central Vietnam were piecing their homes and businesses back together yesterday after a powerful typhoon hammered large swathes of the country's coast, leaving at least four people dead. 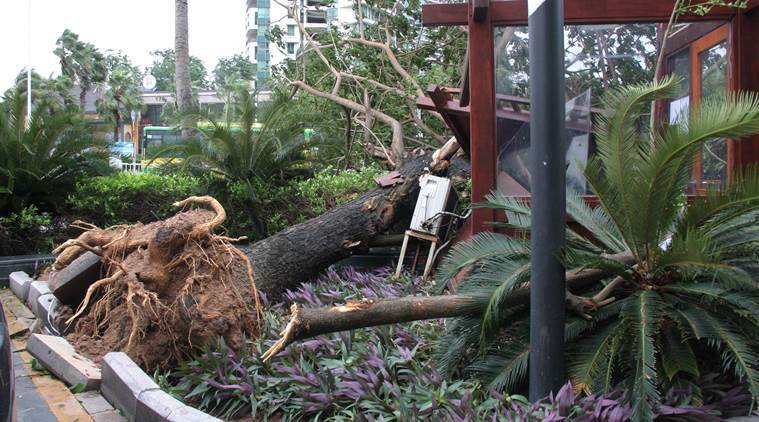 Typhoon Doksuri tore through Vietnam on Friday afternoon, reducing structures to piles of debris and knocking out electricity and telecommunications in several provinces, in one of the worst storms to hit the country in years. Residents woke up yesterday to find widespread destruction in normally idyllic coastal communities popular among beachgoers. "I sat inside my house, covering my ears, I didn't dare leave as I was so scared," said Ms Mai Thi Tinh, whose restaurant in Ha Tinh province was completely destroyed. "The power is still off so we can't do anything. I don't know how long it will take to recover." At least four people were killed and eight injured, according to Vietnam's Disaster Management Authority. Some 123,000 homes were damaged, and trees and power lines were torn down in five hard-hit provinces, the disaster agency said. "The wind was so bad that I hid under the bed. I'm old but I'm afraid of death," said 70-year-old retired teacher Tran Ngoc Khang. Prime Minister Nguyen Xuan Phuc visited Ha Tinh province yesterday to survey the damage. We have to ensure people can get back to normal life," he said on state-run Vietnam Television. Nearly 80,000 people were evacuated as the storm bore down, while the government deployed a quarter of a million troops and a fleet of vehicles and ships. Forecasters warned of a risk of flooding and landslides as the storm swept through the central and northern parts of the country. Vietnam's central coast is routinely lashed by storms, especially during the tropical storm season from May to October. 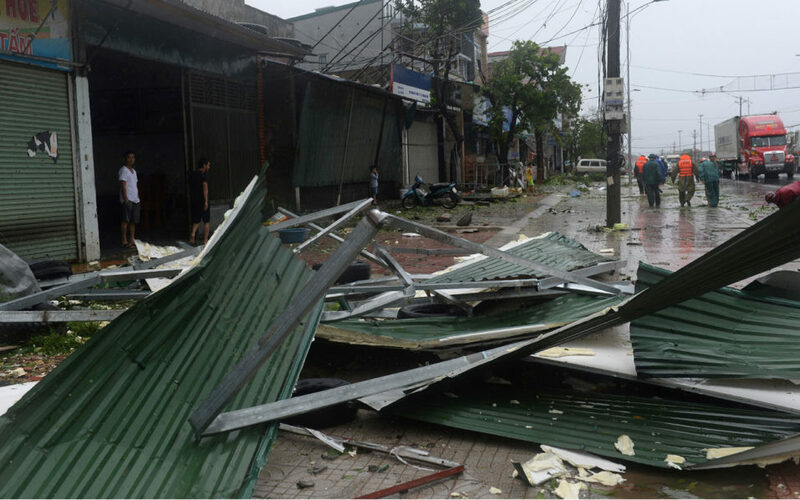 Vietnam has already been hit by severe weather this year, with 140 people dead or missing in natural disasters since January, according to official figures.